When it comes to selling your house I have a plan that works. 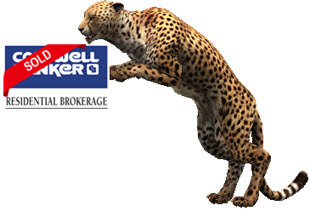 When I handle the sale of your property, you get the marketing power of Coldwell Banker combined with my individual marketing effort and experience. I have sold every type of property from shacks to near castles. My plan is not to stick a sign in the ground and pray. You get action, promotion and constant communication. I don’t rest until the job is done. If you would like an evaluation of your property or have questions about my marketing program, please don’t hesitate to call me me at 847-370-5065 or reach me by email or use the Request Market Evaluation Form in the right hand column. I will get back to you as fast as a cheetah. I would love the opportunity to assist you in making the process as smooth and effortless as possible. Over 250 Properties sold in the Last 4 Years and the List is Growing Daily! 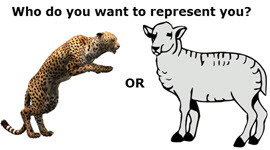 Checklist for choosing an agent– Think about it do you want a cheetah or a lamb representing you?